Dill weed naturally brings to mind pickles. No wonder since Americans consume more than 2.5 billion pounds of them each year, with kosher dills being the favored variety. In Europe and Asia, dill has long been a staple herb, strongly associated with seafood in the Nordic countries. Eastern European immigrants to the New World brought many traditional recipes incorporating dill. The thin, feathery green leaves become the aromatic herb called dill weed (or dillweed), and the oval flat seeds the more pungent spice referred to as dill seed. 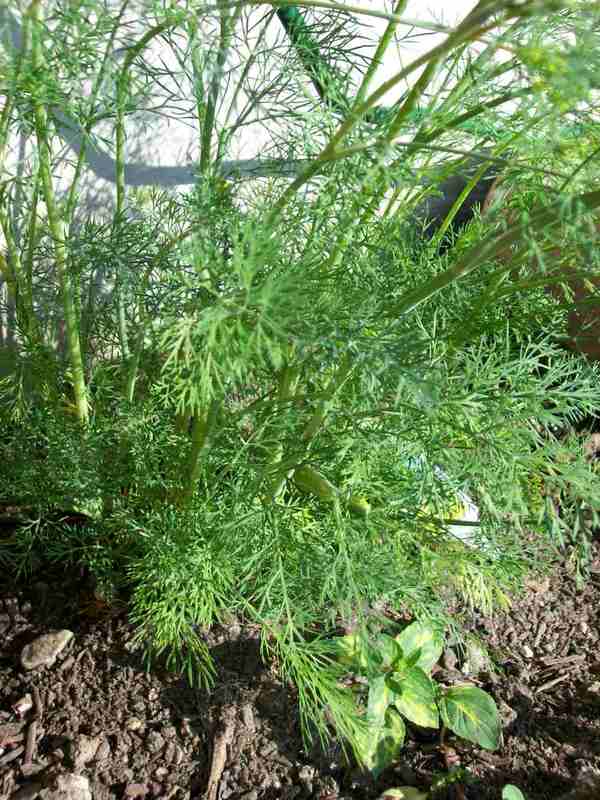 Dill is easy to grow at home in the garden or in containers. (If you grow your own, be aware that the mature seeds are toxic to birds.) Once the edible white or yellow flowers appear, the plant stops producing the leafy fronds. But you can add the flowers to pickle jars for a visual surprise or use them to garnish a salad. And if you want to harvest dill seed, you need to encourage the flower growth. Botanically known as Anethum graveolens, dill belongs to the same family as parsley and celery, though it is the sole species of its genus. It is native to the eastern Mediterranean region and western Asia. The word dill comes from the old Norse word dylla, meaning to soothe or lull. It dates back in writing to about 3000 B.C. when it earned a mention in Egyptian medical texts. In the 1st century Rome, dill weed was considered a good luck symbol. Ancient Egyptians used it to ward off witches and as an aphrodisiac. To Greeks, dill signified wealth. Many cultures cultivated it for medicinal qualities, particularly its ability to soothe an ailing stomach. It's even mentioned in the Bible. Puritans and Quakers gave their children dill seeds to chew on while at church as an appetite suppressant. Modern wisdom gives dill seed credit as a breath freshener and anti-bacterial, plus it's believed to stimulate milk production in breastfeeding women and alleviate colic. The flavor of dill weed resembles the licorice-like flavor mild caraway or fennel. The plant is, in fact, often mistaken for fennel fronds. Add fresh dill weed at the end of cooking to preserve its flavor and color. Dill seeds can be crushed or ground or incorporated whole at an earlier stage as heat actually brings out the flavor. The flavor of fresh dill weed does not carry over to the dried herb, though it is available in supermarket spice sections. Beyond its use as a pickling spice, dill weed has a natural affinity for zucchini and summer squash, asparagus, and spinach. It complements cold-water fish such as herring and salmon and makes a notable appearance in recipes for borscht. It adds an unmistakable taste to herb salad blends, and often shows up in tzatziki, among other classic Greek dishes.